WOW! The next theme for the Pop-Up Museum’s memory workshop is the ‘World of Work’. A series of targeted workshops are running during April and May at Barnstaple Pop-Up Museum in Bridge Chambers, to gather information and stories about various aspects of Barnstaple and North Devon’s trades and industries. 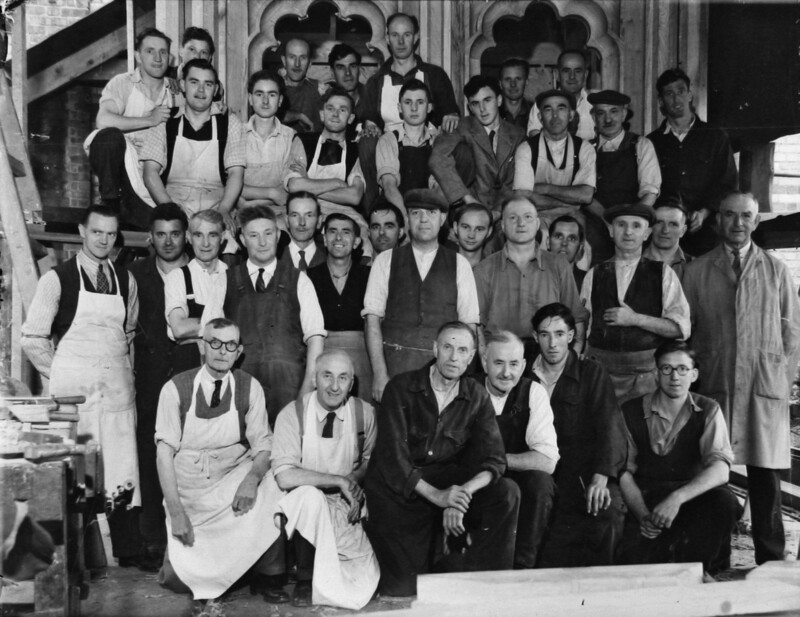 The museum is calling for ex-‘Shappy boys’ from Shapland and Petter and ex-Brannam’s potters and workers to come and spend some time with them and share their memories of these well-known Barnstaple firms. The Pop-Up is open to the public on Mondays and Tuesdays (except public holidays) from 11am to 3pm. Please visit the Pop-Up Museum to find out more, share your story with our volunteer story collectors, or become a community expert. Get in touch with Sadie at the museum on 01271 346747 to find out more, or visit the Facebook page at PopUpBarnstaple. Both photos used here are from Shapland and Petter, an outing and a group shot of Shappy apprentices, although we do not have any more details – do you recognise anyone?